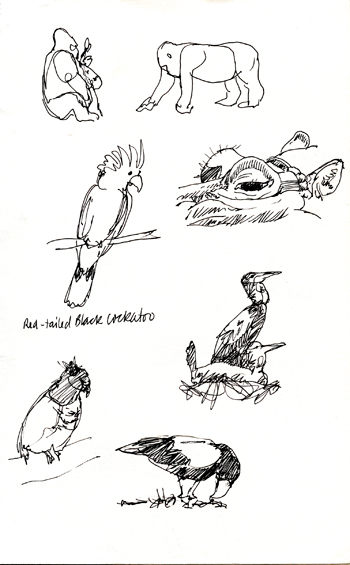 A few months ago I blogged about a terrific book by nationally-known artist David Rankin called “Fast Sketching Techniques – Capture the Fundamental Essence of Elusive Subjects”. You can read about it here. 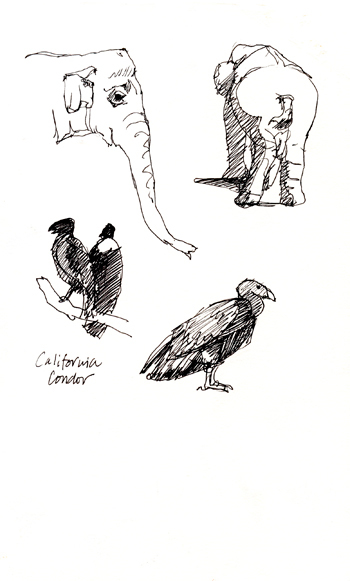 While I was at the Society of Animal Artists 50th Anniversary Exhibition, the pre-show opening activities included full days at both the San Diego Zoo Wild Animal Park (since re-named the San Diego Zoo Safari Park) and the San Diego Zoo. 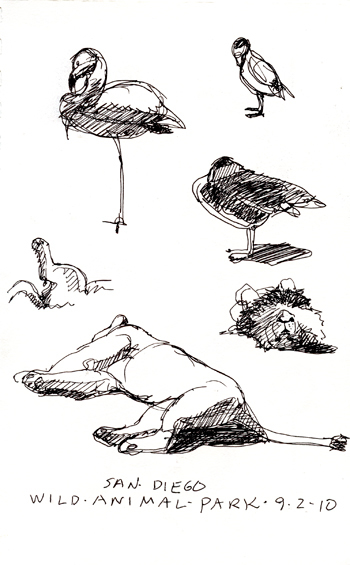 I had already planned to do more sketching than photographing, so had what I needed. 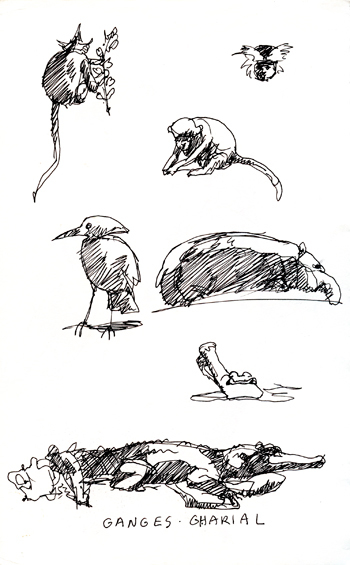 What I hadn’t planned on was getting to spend part of one day and almost all of the next sketching with…David Rankin! What a difference it made to watch how he does his fast sketching. And once I got the hang of it, I was hooked. 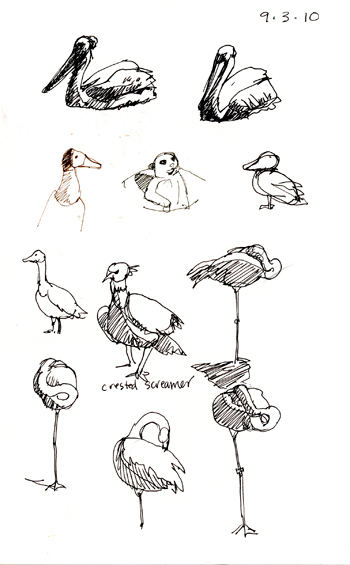 I did around three times the sketches that I would have done before. And they were better, too. Another point that David made that really, really helped me was his observation that every media or drawing tool can be compared to a musical instrument. Each one has to be learned and mastered on its own. As he said, a piano is different than a violin.Watercolor is different than gouache. Charcoal pencils are different than Conte crayons. I have always assumed that drawing is drawing and that I should be able to pick up any pen or pencil and get a good result because the fundamentals of good drawing exist separately from what one draws with. Not so, it turns out. Not only do I now have an explanation for why I’ve had trouble with results when I change media or tools, but it got me off a hook I didn’t even know I was on and gave me a real confidence boost. There was one other minor benefit….my perception of my subjects, both live and in photographs, was fundamentally altered. I find that I am seeing the simple shapes better and more quickly. 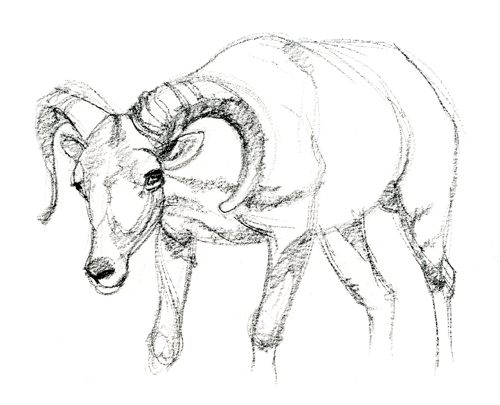 I’ve always felt a little lost doing 3/4 views of heads and have struggled trying to understand the structure of an argali’s horn curl. I’m seeing both of those much better now. 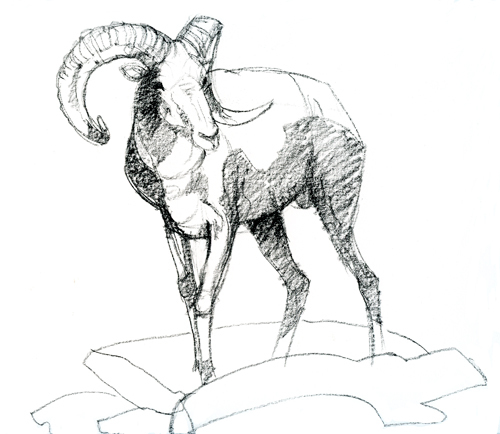 And here are three argali drawings done in the studio from reference I shot at Ikh Nartiin Chuluu Nature Reserve in August. 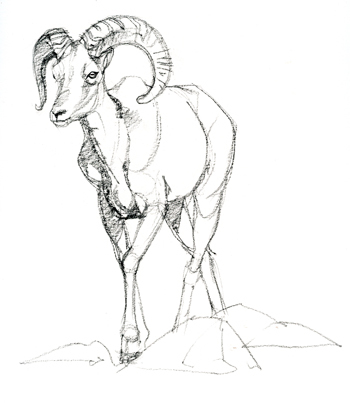 Drawn with a 6B Wolff’s Carbon pencil on Strathmore Vellum Bristol. WOW! WOW! WOW! THAT is what I want to do when sketching!!!! Does Rankin have a video? Excellent blog post…will have to go out buy the book!!!! WOW! 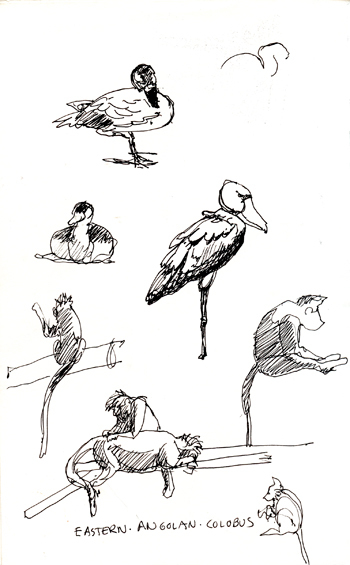 Check out the sketches section. I checked that link from within the preview, which is probably why it doesn’t work. I’ll fix it right now. You’re very welcome! Let me know how it works for you. Wow! 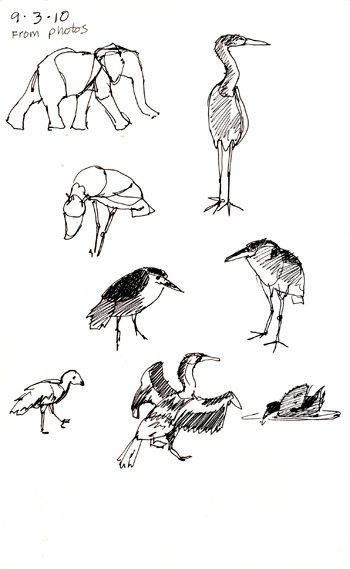 These sketches are great! Thanks, Lynn! I really had fun doing them.